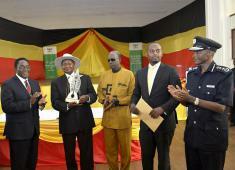 President Yoweri Museveni has called on the youth to promote Pan-Africanism and Modernization. He made the call today at Makerere University where he delivered a key note address to the second Annual convention of the Great Lakes Students' Union. The Students' union has a membership of over 5,000 University Student leaders.